So you've bathed with imported bath gel, maybe even exfoliated, then moisturized with lavender-scented body oil. Now is not the time to use an old towel that causes itchy skin. Egypt produces the best cotton in the world. The fiber grows long and fine, so towels made from it are silky and strong. It is lightweight and quick to dry. It absorbs liquid well, so colors are brighter, deeper, and less likely to fade. This cotton is named after the Pima Indians of Arizona, growers of the plant. Superior pima cotton accounts for only three percent of the United States's annual cotton production, making this a premium fiber. Like Egyptian cotton, the fibers are long, durable and strong. Antimicrobial cotton is treated to prevent microbes from growing. These towels are not supposed to stink even if you use them for wiping sweat. They're biodegradable and environment-friendly. 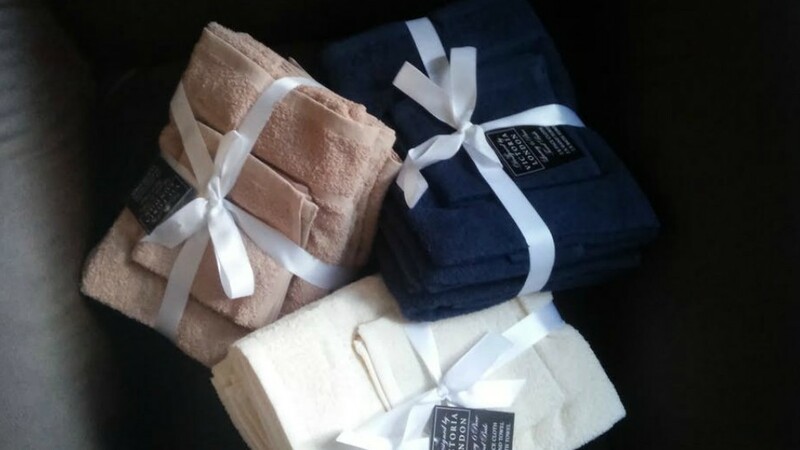 Combed cotton towels are stronger and softer than those made from standard cotton. Combing is an extra step in the manufacturing process. The aim is to reduce the number of short fibers, keeping only the stronger and longer ones for weaving. Like other things organic, organic cotton isn't grown with fertilizers or insecticides. With no chemicals like bleach and dye added, it's fabric that's good for the skin—even for those who are allergic to certain types of fabric. Thin, fast-drying waffle towels make good sense, especially come typhoon time. They're lighter, making them easy to wash. And with no fibers to shed, they leave the rest of the laundry in your machine lint-free. Made from beechwood, modal towels remain soft even after many washings. The blending with cotton results in a towel that's softer and more absorbent than 100% cotton. Rockwell Center, R3 Level, Powerplant Mall, Rockwell Center, Makati City. Robinsons Galleria, EDSA corner Ortigas Ave, Ortigas Center, Quezon City. Abenson, 28th Street & 4th Avenue Bonifacio Global City, Taguig City. Read the original article ("In The Bath") in the July-August 2003 issue of Real Living Magazine. Download your digital copy of Real Living on the Real Living App now! Log on to summitnewsstand.com.ph/real-living for more details.